Let me start off by saying that I may consider myself a feminist but, when it comes to all things sporty, I shamefully fit right into the typical girl stereotype. Sports and me just do not go. Give me a Zumba class or a nightclub dance floor and I can dance away for hours but anything else and I am a complete lost cause. I duck in horror when a football comes my way; I embarrassingly swing a golf club several times before actually managing to hit the ball; and I haven’t been on a bike in so long that I would need stabilisers. 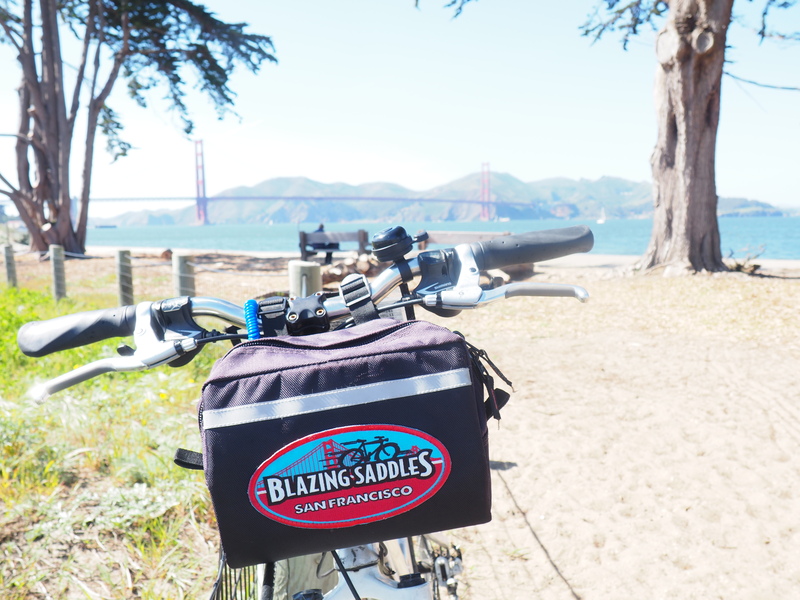 So when we arrived at Blazing Saddles’ offices in San Francisco all ready for a bike ride around the city, I was fully prepared to be a little rusty. I didn’t think I’d be quite so bad that I would cycle just a few feet before crashing into a whole row of stationary bikes and almost toppling off into an embarrassing heap on the floor. But yes, this really happened, and this was just on the practice run before we’d even left the warehouse! Two minutes in and I was already wondering (as I’m sure Mr Ayla was too) what on earth I had gotten myself into. They say you never forget how to ride a bike…not true. I totally forgot. The staff guided me through a few more wobbly trial runs whilst somehow managing to keep the smirks off their faces before we were left to our own devices. Or rather I was left with Mr Ayla who had the most worried expression I had ever seen on his face! But I’m not one to turn down a challenge and I was confident I could do it. I breathed the biggest ever sigh of relief that the first part of the route was all on the safety of a cycle path away from the danger of any cars. Although any pedestrians on the walk way would probably need to steer well clear of me! We had opted for a self-guided adventure rather than a group tour (because I clearly would have held the entire group up) so before we set off we packed away our essentials in the cute little handlebar bag on the front of the bike and took a look at the handy map and guide for the route ahead. 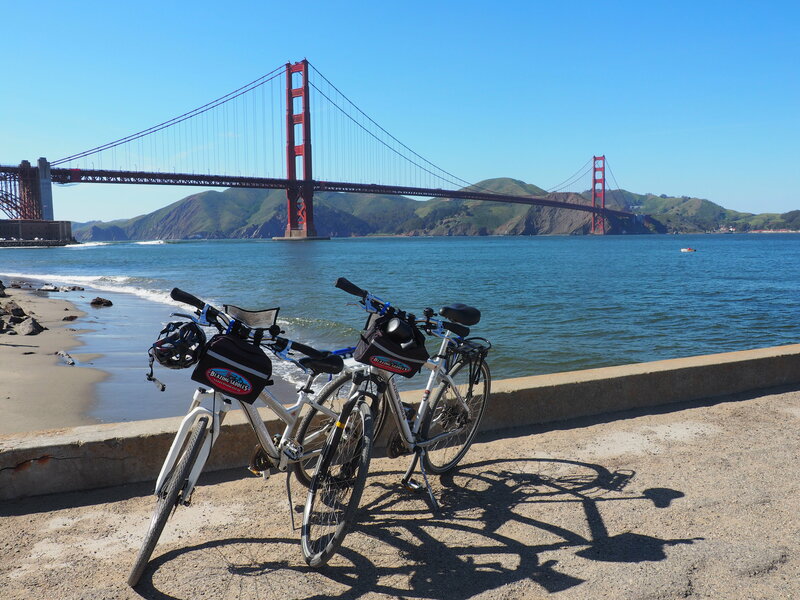 We would be cycling 8 miles along Fisherman’s Wharf towards the Golden Gate Bridge, which we’d then be riding over into the lovely seaside town of Sausalito across the Bay, before jumping on a boat back again. The majority of the route is on a nice and easy cycle and pedestrian path along the waterfront which gave me plenty of time to improve upon my non-existent cycling skills. After only a few minutes my confidence shot up and I was loving the feeling of cycling along in the sunshine, with the wind in my hair and Mr Ayla beside me. I’m sure he could have whizzed off a lot faster but he stayed by my side pretty much the whole way cos he’s sweet like that. 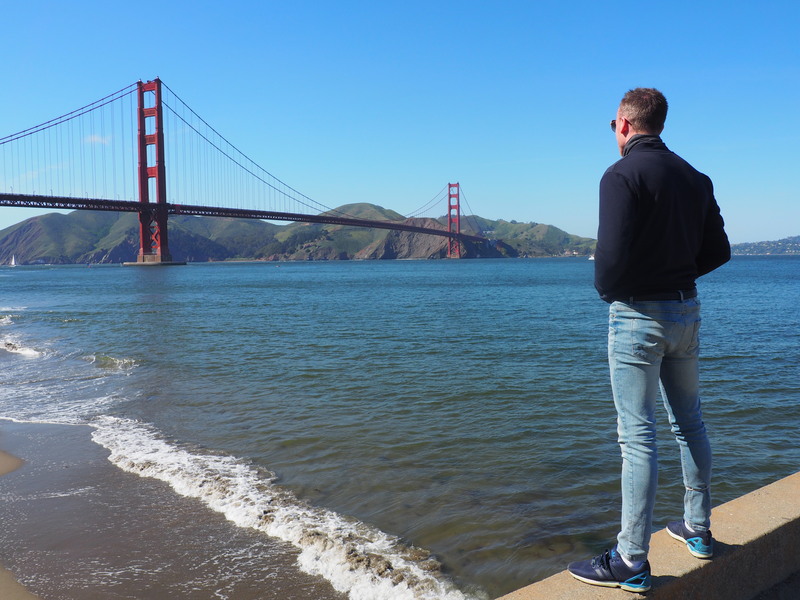 We cycled past Fort Mason and Crissy Field, both with fantastic views out across the Bay with the Golden Gate Bridge looming over the water. This was our first sighting of the bridge and we had fun taking our time, regularly jumping off the bikes to take in the view and snap lots of photos. We took a slight detour that led us a couple of minutes off route, further along the river and almost under the bridge to Fort Point, where there are some more great views and photo opportunities. After this comes the hardest part of the ride as it’s all up hill to the bridge. I’m not ashamed to say that at this point I simply got off and walked the bike up because my legs were screaming at me in agony and would not let me take another single spin of the pedals. Oh the burn! Once across the windy bridge we found we had to join the traffic on the roads which was a little daunting at first, especially as there are some downhill roads which had me whizzing along a lot faster than I’m sure the scared person inside of me could keep up with. 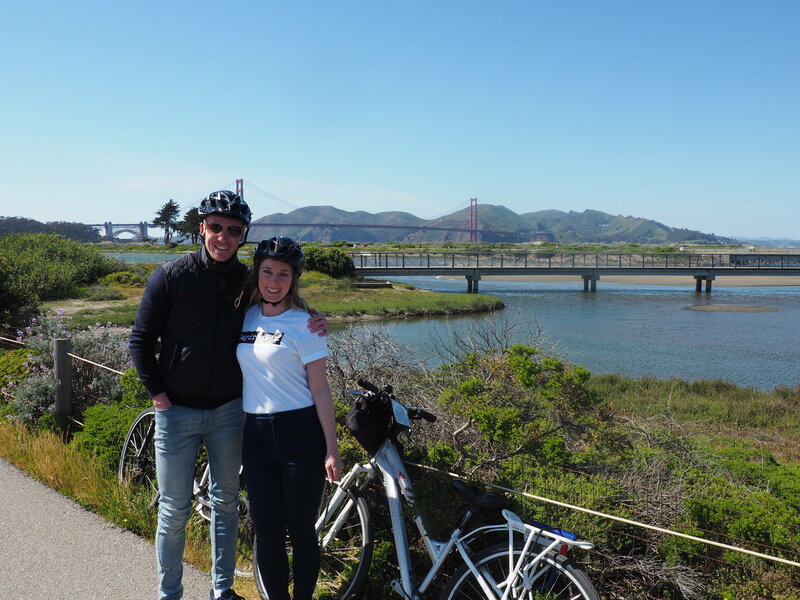 Because we had taken so long getting to this point (quite possibly my fault thanks to the cycling skills and continual photo taking) we unfortunately didn’t have long in Sausalito before we had to get on the boat packed full with other cyclists and head back over to the city. It’s a beautiful place with a charming small town feel, ice cream parlours, vintage stores and riverside restaurants so I do wish we’d have had a bit longer to enjoy this part of the city. 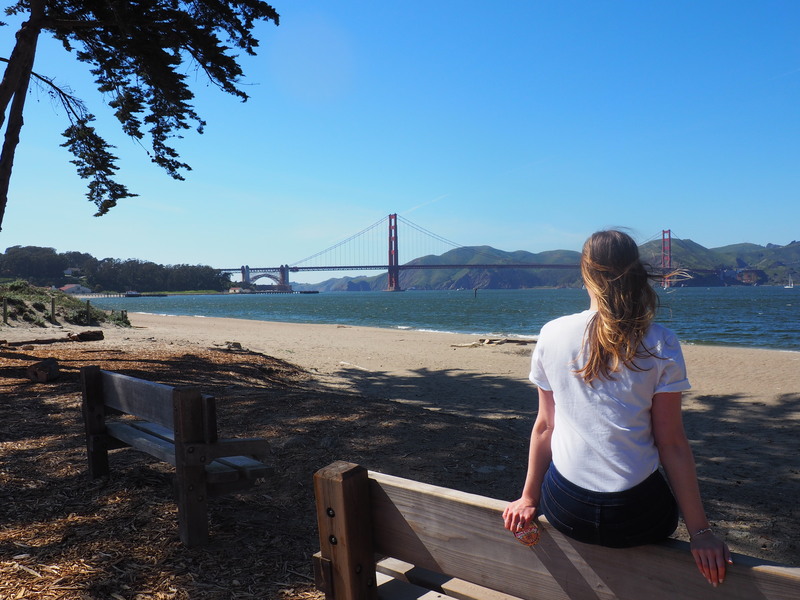 Despite being absolutely terrified when we first started out and despite my legs and bum being in just a slight bit of pain the next day, our bike ride was so much fun and was without a doubt one of our favourite things we did in San Francisco. 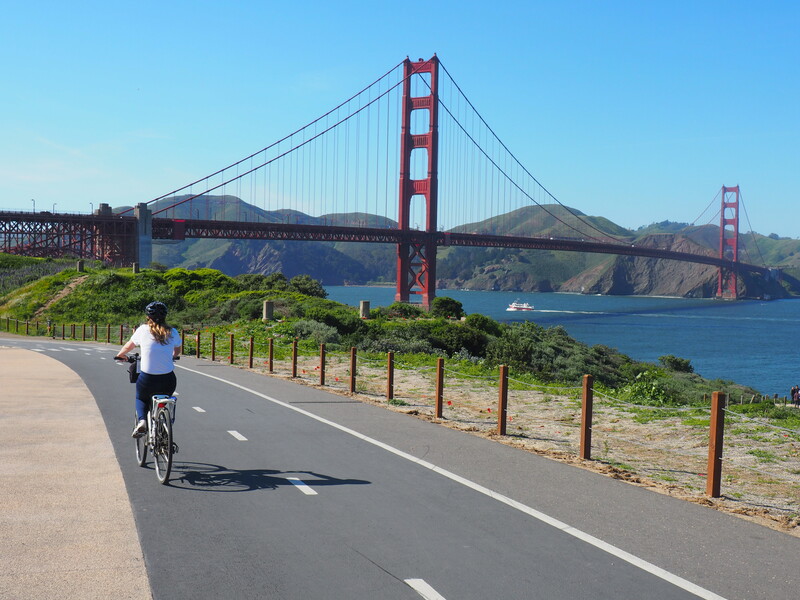 Cycling across the Golden Gate Bridge is something that just has to be done and I’m sure that if I can do it then anyone can! 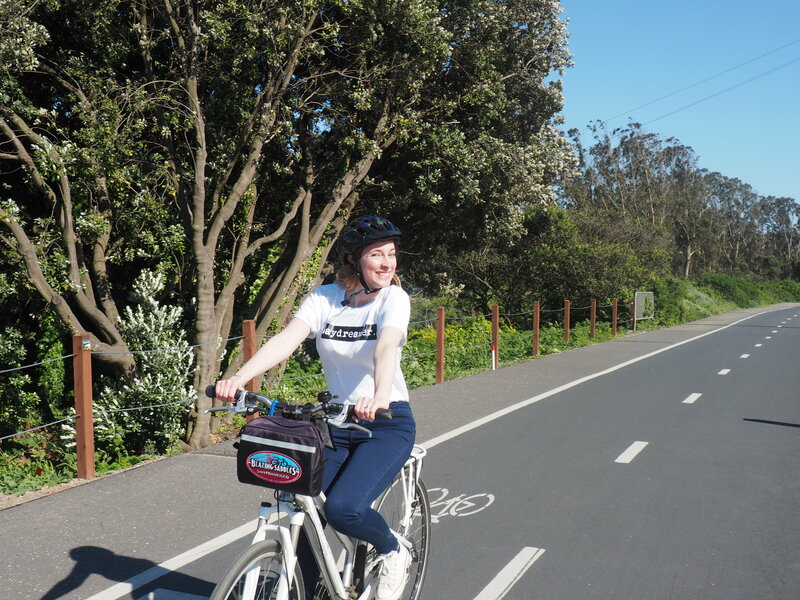 Thank you to Blazing Saddles who hosted our bike ride in San Francisco – and also thank you for not laughing at my first few failed attempts! I’m like you and not that good on a bike either but was so glad that I rose to the challenge and did it (not without a few nerves). You had much better weather than us. We went with a tour – I was so glad we did because while we were waiting for everyone to arrive we bumped into Jamie Redknapp and Freddy Flintoff filming League of their Own and had our pics taken with them. Forgot to take our geeky bike helmets off though….. ! The fact that you not only managed to get on the bike but also managed to ride it already proves you’re miles ahead of me in the cycling stakes! Give me a Zumba class any day too but like you say, otherwise I’m a lost cause with sport….though when I see lovely bike ride locations in sunny destinations like this, that’s when I wish I’d learned! OMG I haven’t ridden a bike in about ten years, I’d be wobbling all over the place. 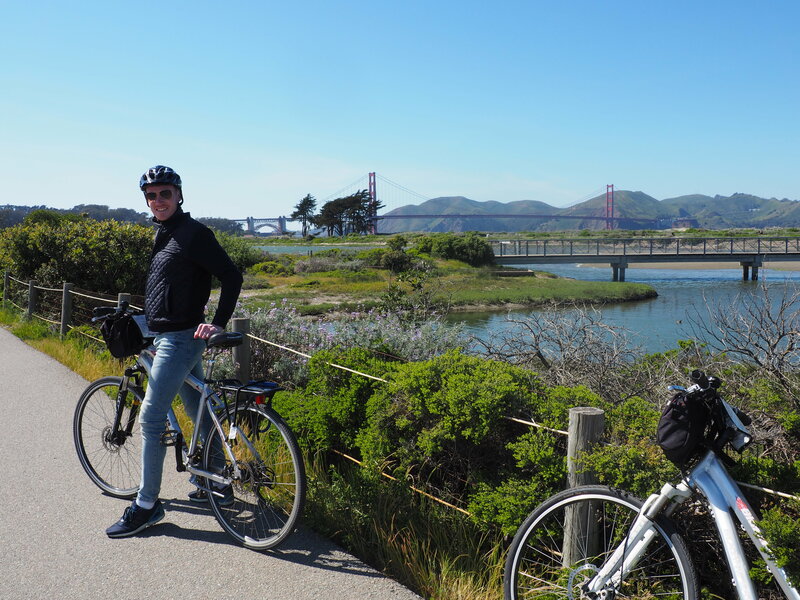 Crossing the Golden Gate Bridge on a bike really is a bucket list item though. 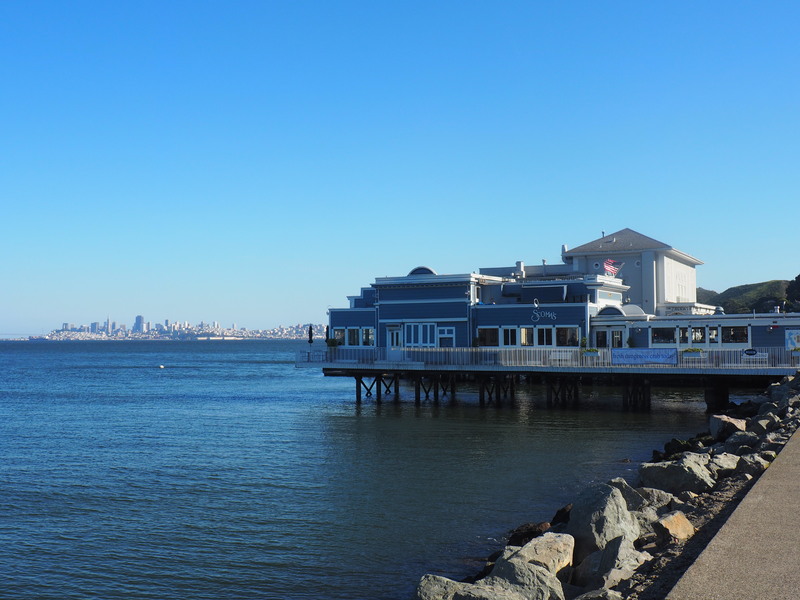 I’ve eaten at Scoma’s the restaurant in your last photo 🙂 I loved Sausalito it was so cute and retro! We did this too, although it was a really windy and foggy day and very tough going! I am SO similar to you – confidence cycling is not a skill in my quiver. However, these views look absolutely worth it! looks like the PERFECT day for it! I really have the urge now to find out if I can still ride a bike! It’s been soooo long!!! Wow, what a cool way to explore the city and see the bridge!